Human Rights Watch today offered testimony that Bosco Ntaganda, a Congolese army general sought on an arrest warrant from the International Criminal Court (ICC), is involved in the assassination of at least eight people, arbitrary arrests of another seven, and the abduction and disappearance of at least one more in Congo and neighboring Rwanda. Rwandan security agents are suspected of participating in an assassination in the Rwandan border town of Gisenyi, which shares a border crossing with Goma. HRW says that Ntaganda's victims are family members or former supporters of the Tutsi rebel leader General Laurent Nkunda, whom Ntaganda ousted from the leadership of the National Congress for the Defense of the People (CNDP) rebel group in January 2009 with the help of military authorities from nearby Rwanda. Former CNDP rebel General Laurent Nkunda has been illegally held by the government of Rwanda since January 2009. This is the first time the HRW has openly stated that Paul Kagame's regime in Rwanda is holding Nkunda "without charge." 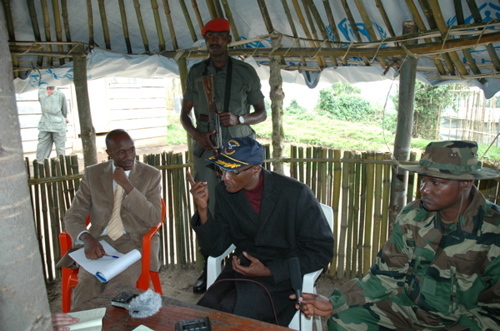 It is also the first time that Rwandan security agents have been publicly charged with assassination of family and friends loyal to the popular and charismatic Tutsi General, who fell out of favor with Kagame in late 2008, and was betrayed and arrested by Kagame's forces after a secret deal was struck with the Congolese government of Joseph Kabila. Human Rights Watch received information about another four arbitrary arrests and disappearances in Gisenyi and Cyangugu, Rwandan towns bordering eastern Congo, in which members of the Rwandan security forces and possibly soldiers loyal to Ntaganda may have been involved. Those who disappeared include Sheikh Iddy Abbasi, a former supporter of Nkunda who was abducted outside his home in Gisenyi in March 2010 and has not been seen since. "Ntaganda should be arrested and made to answer for his crimes, rather than being allowed to walk freely in Goma," said Anneke Van Woudenberg, senior researcher at Human Rights Watch. "He is a threat to the people of eastern Congo and is making a mockery of the Congolese government's policy of zero tolerance for human rights abuses." HRW's Von Woudenberg seems to be threading the diplomatic needle with this statement, since the Congolese government has shown absolutely no support for human rights. HRW's own reports document rapes, killings, torture, and other heinous crimes too numerous to mention. This is a somewhat surprising statement from Von Woudenberg who has been a vehement critic of well-documented atrocities committed by the Congolese army in eastern Congo. Journalists, human rights workers, civilians and refugees have been the victims of "The Terminator" Ntaganda's rampages in eastern Congo. Others with no connection to the CNDP or Nkunda, but who had criticized Ntaganda, have also been targeted. Sylvestre Bwira Kyahi, the civil society president of Masisi territory, was abducted in Goma on August 24, most likely on Ntaganda's order, and held for a week in an underground prison. Bwira had been in hiding since late July following a threatening phone call from Ntaganda's "secretary" about a public letter Bwira had written to the Congolese president, Joseph Kabila, denouncing, among other things, abuses by troops under Ntaganda's command and calling for Ntaganda's arrest on the basis of the ICC arrest warrant. At least seven other people with family or other connections to Nkunda have been assassinated in the past four months. The most recent assassination occurred on September 14, when Lt. Col. Antoine Balibuno, a well-known and respected former member of Nkunda's inner circle, was shot dead in the center of Goma. Chilling testimony describes a cell-phone conversation in which Balibuno purposely left his line open as he was kidnapped and shot in the head, neck, and chest. "You said we were going to Dallas [a nightclub in Goma], but now we're going to Bosco's house... This isn't what we agreed to. Now there's a jeep full of soldiers blocking the road. I don't understand. Are you going to kill me here?" Then the phone cut off. In the months prior to his assassination, Balibuno had repeatedly told Human Rights Watch and others that he was threatened by Ntaganda for refusing to support Ntaganda's leadership of the CNDP. On June 20, a small group of men, including at least one known bodyguard of Ntaganda and individuals whom witnesses described as Rwandan security agents, forcefully entered the home of 77-year-old Denis Ntare Semadwinga, an influential former member of the CNDP with close ties to Nkunda. Semadwinga was repeatedly stabbed in the chest and his throat was slit. Despite repeated calls by neighbors and family members to the Rwandan police for help, no officers arrived for at least two hours. Ntaganda was also allegedly in command of combatants who arrested, tortured, or killed hundreds of civilians in Ituri between August 2002 and March 2003. United Nations peacekeepers have said that troops under Ntaganda's command were also responsible for killing a Kenyan UN peacekeeper in January 2004 and for kidnapping a Moroccan peacekeeper later that year, HRW said. 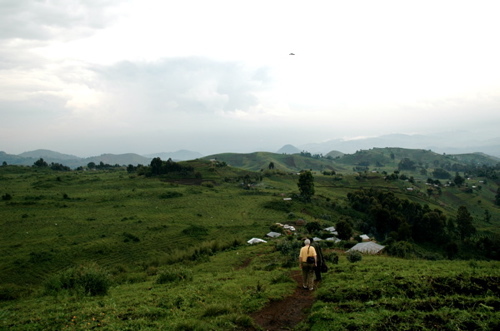 More recently, in November 2008 in North Kivu, CNDP troops under Ntaganda's command killed an estimated 150 people in the town of Kiwanja, one of the worst massacres in North Kivu in the past two years. Initially, media and HRW blamed Laurent Nkunda for the massacre. Nkunda vehemently denied involvement in a 2009 interview, days before he was ousted in Ntaganda's coup d'état, which was supported by Rwanda and Congo. Despite repeated requests directly to the media representative for Rwanda's Paul Kagame, who himself has been under fire for human rights violations, General Nkunda has been denied media access and a court hearing since January 2009.